Earlier this summer we remembered those that lost their lives in what remains the world’s worst offshore disaster; The 1988 Piper Alpha gas explosion in the UK North Sea which resulted in 167 family members not returning home. It’s hard to believe this was 30 years ago. 8 Years ago, reports from the Deepwater Horizon oil spill or Macondo blowout brought the heartbreaking news that 11 people had lost their lives while at work. For everyone in the offshore industry the anniversaries are a sobering reminder of those who lost their lives and the reason we all work collectively to manage safety on offshore assets – a reminder of how we take for granted leaving for work and returning to loved ones at the end of our shift. These incidents changed the way we work offshore around the world with UK, EU and USA legislation coming into force. The Cullen report following Piper Alpha did away with traditional prescriptive safety legislation in favour of a more progressive ‘goal-setting’ model and its recommendation marked a step change in safety and risk management not only in the UK sector but practices that have been rolled out across the world. The duty holder regime requires operators to provide details of health and safety management and major accident hazard control systems on the installation. This includes identifying risks and reducing them as much “as is reasonably practicable”, providing a temporary safe refuge on board and making provisions for safe evacuation and rescue. The regulations made it incumbent upon the duty holder to revise and update the safety case periodically, this was further revised in 2005 to include lessons learned. 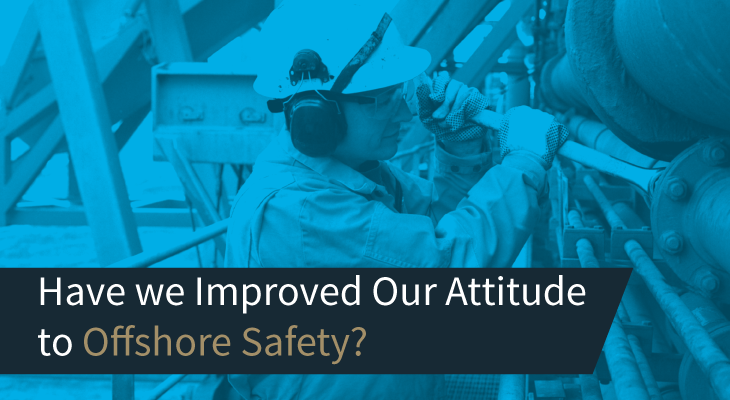 Last month the industry remembered and reflected Piper Alpha and questioned whether we really have got on top of safety in our industry? Have we done enough during this time or is there another disaster looming given the drive for reducing costs? Have our standards of ALARP changed? To spend £1m to decrease risk for a small number of staff from getting minor bumps and bruises seems grossly disproportionate, but to spend £1m to prevent a major explosion capable of killing 150 people is obviously proportionate. Where is the middle ground? What is the acceptable level of risk? ⁃ Policy makers and those engaged in programme delivery understanding the implications of action to control risks. ⁃ Enforcers have to decide whether operators have reduced their risks ALARP. ⁃ Technical specialists who advise on whether control measures are effective and identify the standards of risk control. These three groups need to work together to find a middle ground, if we can efficiently identify risks and communicate these in an easy to implement manner, we have the building blocks for everyone across the asset to play their part. INTECSEA have recently been reviewing and writing integrity management systems for operators, while no one size fits all as the appetite for risk does vary across the world, all are driven by a common theme – understanding degradation, managing risk and communicating actions.